HANDS OFF GRETEL GET TROLLIED! South Yorkshire grungers HANDS OFF GRETEL have unveiled their forthcoming album with a brand new video. I Want The World is set for release in March and the title track is the first single. 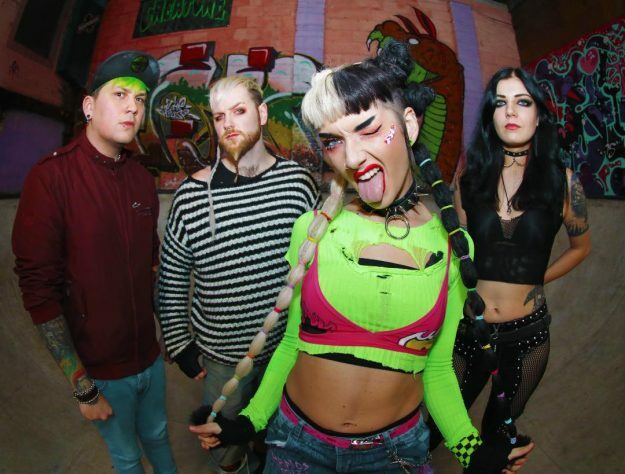 Hands Off Gretel were formed in 2015 when frontwoman Laure Tate dropped out of school aged 16, inspired by the likes of Hole, The Distillers, Nirvana and PJ Harvey. Over the past 3 years the band have played over 100 UK headline dates, toured Germany and played major festivals, including, Rebellion, The Great British Alternative, Isle of Wight, Amplified, Download and Camden Rocks. Fiercely independent with a large and loyal fanbase, the band’s PledgeMusic campaign to fund the album reached 100% within 24 hours. I Want The World is out on 29 March via Puke Pop Records. Pre-order it here. ‹ MADNESS ANNOUNCE LONDON SHOWS!